Find photos, videos, publications, infographics, social media cards and key messages organized by thematic topic. The SFM toolbox provides forest owners, managers and other stakeholders with tools, case studies, modules and other resources for the implementation of sustainable forest management. 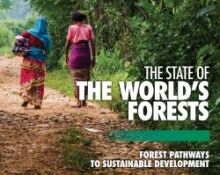 Follow highlights of the work of FAO Forestry and its partners in InFOflash, a twice-monthly electronic news bulletin published in English by the FAO Forestry Department.